How Far is Shree Sen And Raja Flats? 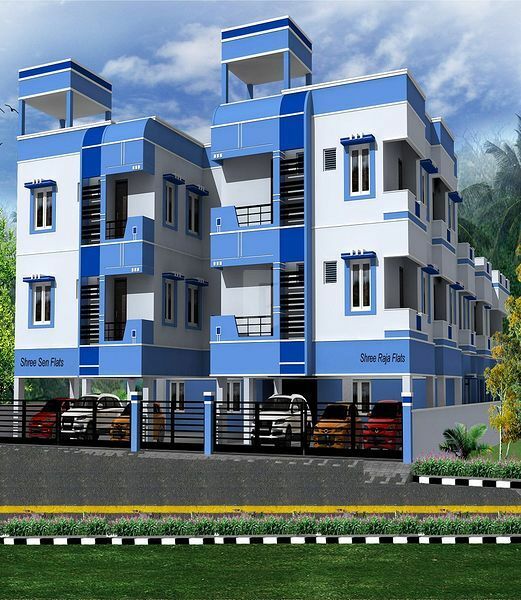 The bundle of eminence Shree Sen and Raja Flat's is a residential development, located at West Tambaram, Chennai. Composing of 2 BHK Apartments with basic amenities required for your comfortable and elegant lifestyle. Many thoughtful touches make living here a pleasurable experience and it is well connected by various modes of transportation. Shree Sen and Raja Flat’s is well planned and executed with quality products, at an affordable price. 24X24 vitrified tiles for floor, toilet 7’0” height 8”X12” glazed wall tiles and flooring with antiskid tiles. kitchen top with granite and stainless steel sink. All the main doors are padauk frame with ost skin doors. All the window frames are of aluminium frame, pinned glass with shutters. Toilet doors are PVC single panel. CPVC concealed plumbing lines for hot and cold water all sanitary fittings are of parryware or equivalent make cp fitting are metro or equivalent make fittings. Concealed multi standard copper kundan or orbit wiring with necessary points with wonder, GM or equivalent switches. 3 phase EB connection for all flats. Distemper and emulsion paint for interior and ace paints for exterior.